Materials: Curly bigleaf maple with inlaid colored calcite crystals. Finished with metal-acid dyes and musical-instrument lacquer. 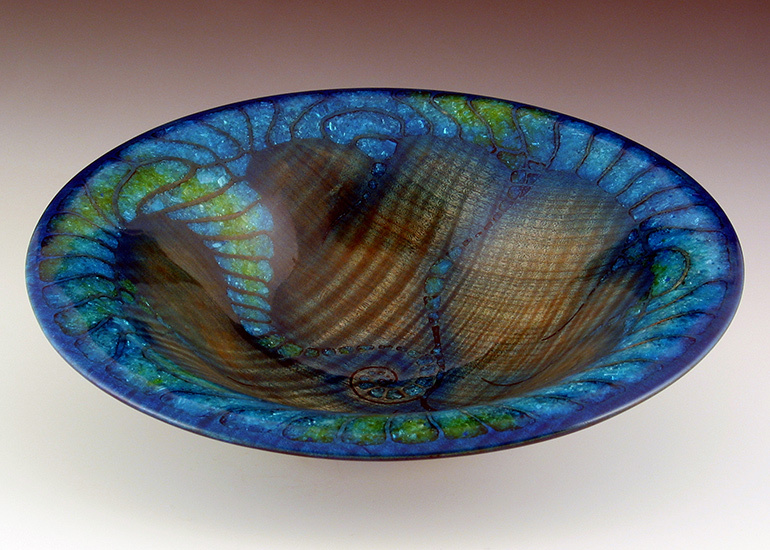 Featured in the American Association of Woodturners juried exhibit Return to Oz. Comment: Following the opening night sale of "Dorothy's Inner Struggle for Self-Awareness", I was asked to make a similar piece to show during the AAW's multi-venue exhibit. Eventually this piece was acquired the esteemed collectors John and Patti Hill.